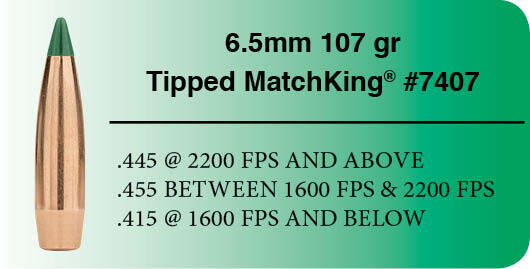 This entry was posted in Competitive Shooting, Reloading and tagged 6.5 Creedmoor, 6.5 Tipped MatchKing, bullets, handloading, new bullet, reloading, Tipped MatchKing, Tipped MatchKing bullets. Bookmark the permalink. 260 Remington, and 6.5 x 47 Lapua. We are a sizeable share of the market, ignore us, and we just might buy bullets in boxes that are not green. Not trying to ignore anyone Anthony, we are still working on shooting data for a new manual. Barrel twist. rate. All factory 25-06 rifles, and most 25 cal reamers for custom barrels, are 10 twist. This is borderline for stabilizing 115g bullets and heavier, especially the longer profile bullets more commonly seen now (vlds, etc). I built a 25-06 and had to really scout around to find a barrel in 9 twist (Hart), as many manufactures don’t even make a 25 cal barrel faster than 10. It shoots the Berger 115g vlds great. Some people can shoot these in 10 twist also, but those rifles will nearly always shoot the 100g bullets better, so most people default to those. All of this affects bullet selection, which is why there really aren’t any 25 cal bullets over 120g. The reason there are so many 140g 6.5mm bullets is there are so many 8 twist rifles chambered for one 6.5mm cartridge or another. So for those looking for more performance than the 6.5 Creedmoor, in a caliber at or close to 6.5mm, and capable of shooting bullets of reasonably high BC, one can do as I did with a 9 twist 25-06, or get a 6.5-06 wildcat, or a 6.5-284 Norma, to name a few. 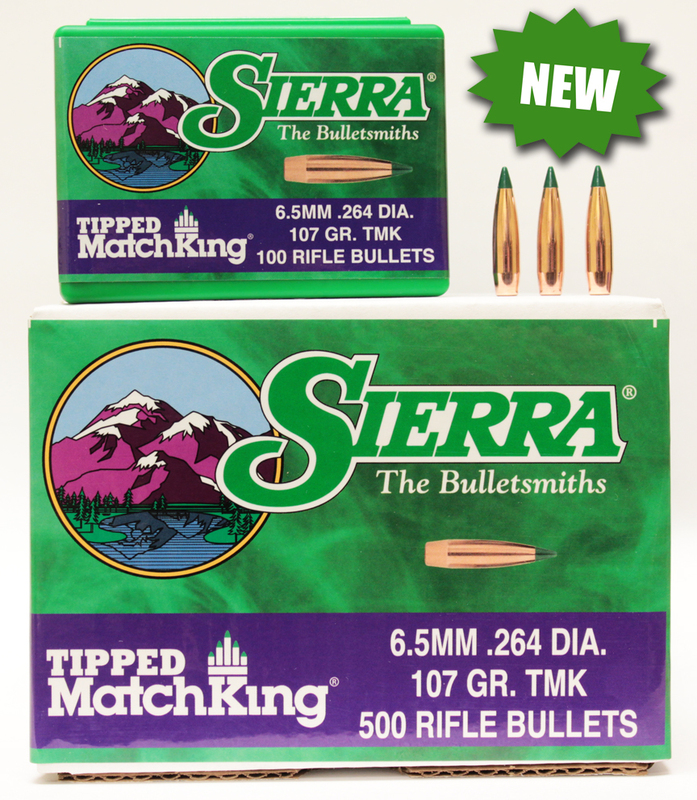 Where can I find load data for .260 REM using 130gr TMK? I have been using your 107HPBT #1715 in my 6.5×55 over ten years and it hasn’t failed yet. Head shots are the norm, but when I have to make a torso shot every deer has fallen in his tracks. That says a lot about your bullets, and all the bullet boxes in my shop are green. Thank you, Sierra. Are you guys also Smithing some 458 SOCOM data?